The majority of burglaries that happen in the United States occur when nobody is home. Well over 70%. For the other 30%, they will happen when you are asleep. This creates a risk because if you are not protecting yourself or making your home a deterrent to thieves, then you may fall victim to home invasion. 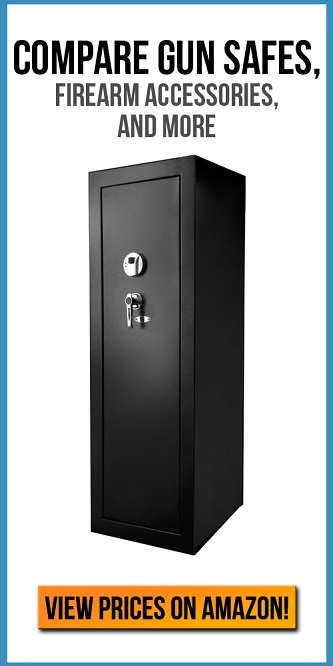 Even though you may have found the best & safest gun safe for yourself, it does not mean that you are 100% safe from any kind of home invasion. A burglar with expertise in safe cracking might even be able to get inside of a military grade safe. We are going to be going over a few different ways that you can deter thieves and have them avoid your house. Are you living in the nicest house on the block? If you live in a neighborhood that is high-traffic and has been prone to crime in the past, then this is an extremely important detail that you do not want to look over. If Your house looks like the nicest one on the block, and it looks like robbing it will result in a good haul, you’re going to want to do something about it. Unless you are a billionaire that can hire security guards to border off your house every day, looking like you have excess amounts of wealth is doing you no good. This means that at all times of the day we recommend that you put your unused car out in the driveway and try make your house look as plain as possible. Nothing wrong with having a nice yard or nicely trimmed hedges, but any kind of display of wealth is only going to hurt you. Believe it or not, if a burglar sees expensive cameras set up around your home – it looks like you have a lot to lose. Nobody goes setting up expensive cameras without being paranoid about losing what they have. Most burglars that have been stealing for a while can get around these quite easily. You may not even catch them with the camera. Not only that but most home robberies results in the perpetrator getting away. These guys will rob you in broad daylight without remorse. Most of us work in office spaces. Corporate America employs millions of Americans and is cutting cheques for its workers every two weeks. Nowadays, you can work from home if your boss and company allows it. This is a great way to make sure that there is always some kind of presence inside of your home. This presence alone is enough to deter most thieves because of most of them do not want anything to do with people. Switching up your hours in which you are home makes it more difficult for a burglar to invade your home. Going to the gym at different times the day is a great way to confuse potential burglars and keep them at bay. Some burglars will scout out the neighborhood and when they find a potential target may keep an eye on it for a week or two before making the strike. If they come to realize that you are not somebody who is often away from the home and you are armed – they are likely going to move on. Let’s say you are living in an affluent neighborhood and working from home is not an option for you. The next best option for you is to buy a dog. We do not recommend that you get some little wiener dog or any other kind of small breed, but something larger. Think Rottweiler or Husky. As long as your neighborhood is okay with it and you are ready to take on the challenges that come with owning a dog. Dogs are a natural deterrent for burglars. If your dog has a loud bark, combined with you training it to be vicious when the time calls for it, will make your house be avoided by burglars. This is great for anybody who cannot use the first two suggestions. If you cannot get a dog, then we suggest that you pretend to own a dog. Use different kind of signs that make people think you have a dog. Or you can even set up a fake dog house in the yard so that any potential thieves will think twice before breaking into your home. Not everybody can afford to purchase a full-blown home security system. It is expensive, and a lot of us are strapped for cash. However, there is nothing holding you back from buying a fake security camera. Something to keep in mind that this is not the best idea because some burglars aren’t afraid of security cameras. They may even think that your house is an easier target. If they believe you’re an easier target, they may feel more confident entering your home. Even when you are around because they may think you will back off and let them take what they want. Another suggestion is to install security lights. The ones that go off when somebody goes within range of the light. These lights combined with a dog are a perfect combination. When the light goes off, the dog starts barking and the burglar flees. You won’t even be out of bed and the burglar will be long gone. Just another option to think about. If all else fails, you can always talk to your neighbors. They are another set of eyes and will see people passing through the neighborhood that you might miss. Ask them over for dinner and bring up neighborhood security. Depending on how they react to this topic you can gauge whether or not there has been some funny activity going on in the neighborhood. You can also set up a neighbor defense pact that requires you to protect each other. Make sure that you trust your neighbor and stay true to your word. If you cannot keep them protected, then do not make any promises. However, it is really important that you stay in touch with them and remind them that you are on their side. Doing so will make sure that they report to you if they see any kind of funny activity.